would be formed in the late Pliocene or early Quaternary . 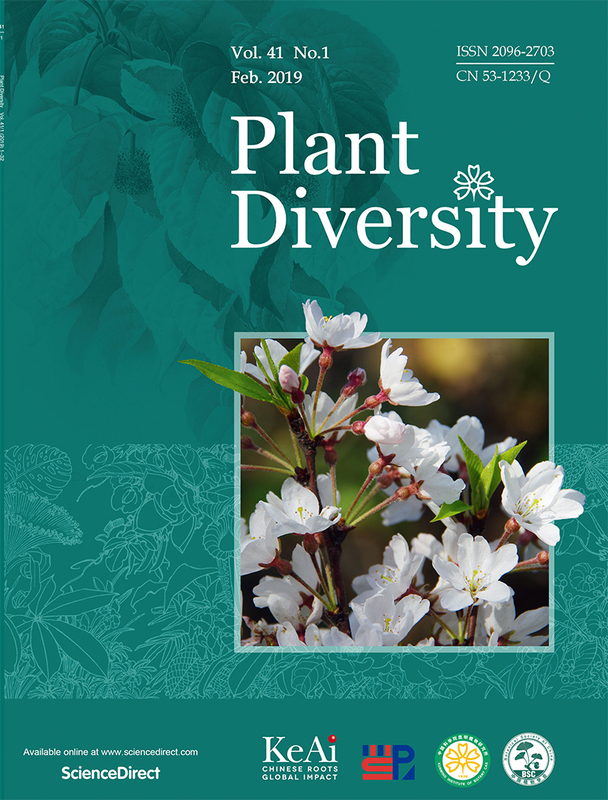 In this paper , some systematical problems, including the classification , differentiation , and systematic relationships between genera of Tamaricaceae, are discussed . Tamaricaceae , together with the family Frankenaceae as sister group , is positioned in the Caryophyllales or Caryophyllidae of the Angiospermae. Based on morphological and molecular evidences , we give support to include Hololachna within the genus Reaumuria , and the establishment of the genus Myrtama Ovcz . & Kinz . Tamaricaceae is composed of two tribes: Trib . Reaumurieae Niedenzu and Trib . Tamariceae Niedenzu ( including Tamarix ,Myrtama and Myricaria) , with the genus Tamarix as evolutionary intermediate . Epimedium brevicornum was sampled from Jinchengshan , a mountain of Nanchong , Sichuan province at altitudes of 560m, 653 m and 774m respectively for investigation of its ramet population variation. The results showed that the ramet population density decreased remarkably and its ratio of root to shoot increased with increasing elevation e. g, at 774 m the ratio of root to shoot was significantly higher than that at 560 m . The spatial distribution pattern of E . brevicornum at three different altitudes and E. sagittatum at the altitude 771 m were also investigated respectively with Congregation index (m*ꄯm) 、Clump index (I)、Cassie index (CA)、Dispersal index (C) and spatial point pattern analysis . The results revealed that the populations of E. brevicornum was clumped at all of the spatial scales , whereas the population of E. sagittatum was randomly distributed at the small spatial scales, and was clumped at the most spatial scales which ranged from 0. 1 m to 5 m . Finally , we discussed the protection of E . brevicornum and E. sagittatum and advantage to use point pattern analysis in the investigation of the spatial pattern of herb plant . The spore morphology of 30 species 4 variety of 2 genera of Pteridaceae from China was investigated under scanning electron microscope (SEM) . Among them, 29 species 4 variety belong to the genus Pteris . The spores of Pteris are trilete , radiosymmetrical , subtriangular in polar view and hemispherical or subhemispherical in equatorial view . The polar axes are 26 - 54μm long , and equatorial axes are 34 - 97μm long . The perispore is thin and the surface ornamentation is formed by the exospore . The types of ornamentation are tuberculiform-rugulate , verruciform-rugulate or lophate , the spore of most species with the equatoial flange, some species with proximal ridge and distal ridge . The spore morphology of Pteris is stable, and the difference between species is distinct , but the features of spore and sporophyte are not related. The spore of Histiopteris is monolete and bilaterally symmetrical, elliptical in polar view and kidney-shaped in equatorial view . The polar axes are 22 - 23μm long , and equatorial axes are 29 - 36 μm long . The perispore is thin and the surface ornamentation is formed by the exospore . The surface is rugulate . The spore morphology of Histiopteris and Pteris is very differential , put genus Histiopteris in family Pteridaceae is not suitable, according to the feature of spore morphology . Two populations ( located at Sanhu town , Xingan co., Jiangxi province ) of Scilla scilloides polyploid complex were surveyed cytologically , and four cytotypes, BB, BBB, BBBB, and ABBB were observed among two hundred and sixty three individuals . BBBB and ABBB were new records in East Asian continent . Until now, nine of the 12 euploid cytotypes of this polyploid complex have been found in the East Asian continent , which suggests the continent is one of the important locations where the cytotypic differentiation of the complex takes place . The occurrence of ABBB and BBB, but not ABB and aneuploids maybe demonstrates the distribution range of BB have contracted on the continent and Korean peninsula, AABB populations of plants with subglobose bulb have degenerated on the continent since Tertiary , and the mixed populations of BB and AABB are the relicts of populations on the continent , Korean peninsula and Cheju island . The cytotype component similarity in these populations to that in populations on the Japanese archipelago may show some historical relations between them, but this fact is not able to manifest the hypothesis that this species on the Japanese islands is one of“prehistoric naturalized”plants introduced from China . The comparative anatomy of the leaves of 7 species in Polygonatum Mill . is studied in this paper. The results are as follows: (1) The raphide idioblasts are common in these species from Anhui province , but their number is different each other ; (2) No hairs on epidermis except lower epidermis of P. odoratum; ( 3) Stomatal apparatus only distribute in lower epidermis in random and single except P. ganlandeianense has both single and two or three get together ; (4) No differentiation of palisade tissue and the spongy tissue in the leaves except P. anhuiense and P. zanlanscianense have inconspicuous one . ( 5) Some stomatal apparatus characters such as size , type, distribution and shape of surface cells show more or less difference among the species . These characters provide experimental evidence for division of species and systematic evolution relationships of Polygonatum Mill . The leaf epidermis structures of seven species in the genus Euphorbia from Anhui province in China , have been examined with LM and SEM . The shapes of leaf epidermal cells are usually irregular or polygonal and the anticlinal walls are straight , arched , sinuolate, sinuous or sinuate . The stomata apparatus is anomocytic type and some species have simple or multicellular hairs which have neoplasitic process under SEM . And the cuticular membrane of leaf epidermis is scaly or granular under SEM . The result shows significant micromorphological differences of leaf epidermis of the seven species and it is taxonomically helpful for the identification of some species with similar leaf morphology . evidence for studies on systematic relationships of several taxons in genus . The chromosome numbers and karyotypes of three Zelkova Species from China are reported for the first time . The results are as follows: Z. schneideriana Hand .-Mazz ., 2n = 2x = 28 = 14m + 14sm; Z. serrata (Thunb .) Makino, 2n= 2x = 28 = 26m+ 2sm; Z. sinica Schneid , 2n = 2x = 28 = 20m+ 8sm . Karyotypes of 6 species in Angelica L . from Sichuan are studied at population level and the karyotype of A. pseudoselinum is firstly reported . It is found that the number of chromosomes are invariably 2n = 2x =22 , with most of them are median and submedian centromeric chromosomes, while subterminal centromeric chromosomes exist in A. omeiensis . The majority of karyotypes belong to 2A, and Shihuiyao population of A. laxifoliata has 1A types . As for karyotypic formula , A. omeiensis is 2n =22 = 10m+ 2sm+ 10st , A. maowenensis is 2n =22= 16m+ 4sm+ 2sm (SAT) , A. sinensis is 2n = 22 = 14m+ 8sm, A. apaensis is 2n = 22 = 14m+8sm, and A. pseudoselinum is 2n =22 = 12m+ 8sm+2sm (SAT ) . However, different populations of A. laxiforliata don’t have the same karyotypic formulae, and there are some variations between the caryotypes more or less . According to Stebbins, A. omeiensis’s evolution status was showed by the highest index of asymmetry among six species studied in this paper , while A. laxiforliata is a little primitive because of its lower index of asymmetry and its 1A caryotypes . However , the morphological, anatomic , karyotypic characters and that of pollen grains are evolving asynchronously , suggesting that, Sichuan as one of the frequency centers of Angelica L . in China , is also one of the differentiation centers of Angelica L .
gene, Transient GUS expressions were observed in papaya leaves transferred via particle bombardment . GUS activities were detected only in laticiferious cells . The polyploid breeding technique was used to induce polyploid of Dendrobium devonianum, an orchid occurring in the tropics of Yunnan with ornamental and medicinal values . The materials for polyploid breeding were in vitro seedlings of diploids . The polyploid plants could be induced in a short time with colchicines as mutagen . It resulted in the best inductive effect to use 0 . 03% colchicines to deal with the in vitro seedlings of diploids for 24 hours . The polyploid plants were different from those of diploids in morphology , stoma diameter , chromosome numbers, and DNA fingerprints . The in vitro seedlings of polyploid plant showed advantageous characteristics such as thicker stems and leaves . 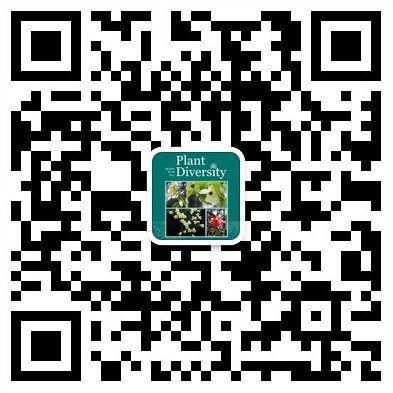 It is a successful case to apply polyploid breeding technique into the tropical orchid breeding in China . Taxus chinensis cell cultures were extracted with methanol and then prepared by solid-phase extract prior to HPLC or LC-MS analysis . About 13 taxane compounds were identified or characterized by comparisons with LC-MS and standard referents . The profiling analysis of the taxanes by methyl jasmonate (MJ ) elicitation indicated that the relative chromatographic peak areas of all these identified compounds were increased but the increasing rates differed . Taxchinin M and its structural analogue had the highest increment . The increasing rates of taxol, B -Ⅲ and B -Ⅵ were more than that of taxuyunnanine C and its derivatives, which were oxygenated at C-14 . The results suggested that biosynthsis of taxol and its precursors were more sensitive than oxygenated taxanes at C-14 in response to methyl jasmonate elicitations, while MJ may also elicit the formation of non-effective acetylated taxanes which bear acetate groups at C1 ,C2 , C7 , C9 and C13 . The study may be interesting in metabolic profiling analysis for elucidating taxane biosynthesis . Investigation of the chemical constituents of the leaves of Craibiodendron yunnanense obtained the isolation of fifteen compounds . Their structures were elucidated as asebotoxin-III ( 1) , grayanotoxin-XVIII (2) , leucothol A ( 3) , proA-4 (4) , quercetin-3-O-β-galactoside ( 5) , quercetin-3-O-α- arabinofuranoside (6) , quercetin-3-O-α-rhamnopyranoside (7) , trihydroxyflavone-3-O-α-rhamnopyranoside (8 ) , 2 , 4-bis ( 4-hydroxyphengl )-1 , 3- cyclobutane dicarboxglic aicd ( 9 ) , ( Z )-p-hydroxy cinamic acid (10) , ( E )-p-hydroxy cinamic acid (11) , vanillic acid ( 12 ) , 2α, 3β-dihydroxyurs-5 , 12-dien-28-oic acid ( 13 ) , 2α, 3β, 23-trihydroxyurs-12- en-28-oic acid (14) , andβ-stiosterol (15) . Compounds 1 - 4 , and 8 - 14 were isolated from the titled plant for the first time . In addition , compounds 1 - 3 may have closed relationships with the effects of analgesic . A method for simultaneous analysis of theanine and gallic acid was established by HPLC technique . The content variations of theanine and gallic acid of solar dried green tea of Camellia sinensis var. assamica and its producing Pu-Er tea were determined by this method . The results showed that the contents of gallic acid significantly enhanced and theanine distinctly reduced in Pu-Er tea . It is noticed that the content of both of theanine and gallic acid are correlative with the producing place and quality of crude materials, as well as with the producing process of the post-fermentation of Pu-Er tea . The mechanism of content variation of theanine and gallic acid was discussed primarily .